The show is entering its 30th season and what better way to celebrate than with a mobile version of the classic. The award-winning show, Wheel of Fortune, is entering its 30th season and what better way to celebrate than with a mobile version of the classic TV game show. The game will be available on iPhone, iPad, iPod touch, Android and Kindle Fire. 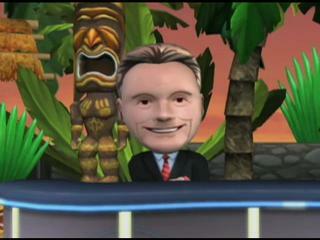 Players will let Pat Sajak do what he does best; host Wheel of Fortune and the game will have players feel like they are actually on the popular TV show. There will be different game modes for players to enjoy such as story mode, where players will go through the 30 year history of the show, and pass and play, which is basically a multiplayer game of the Wheel. There will also be customizable avatars for the game as well as being able to download different theme puzzles such as “School Time” or “Night on the Town” just to name a few. The game does a good job celebrating 30 years of Wheel of Fortune.